Weights for Friday night’s card promoted by Thompson Boxing Promotions, that takes place at the Doubletree Hotel in Ontario, Calif. 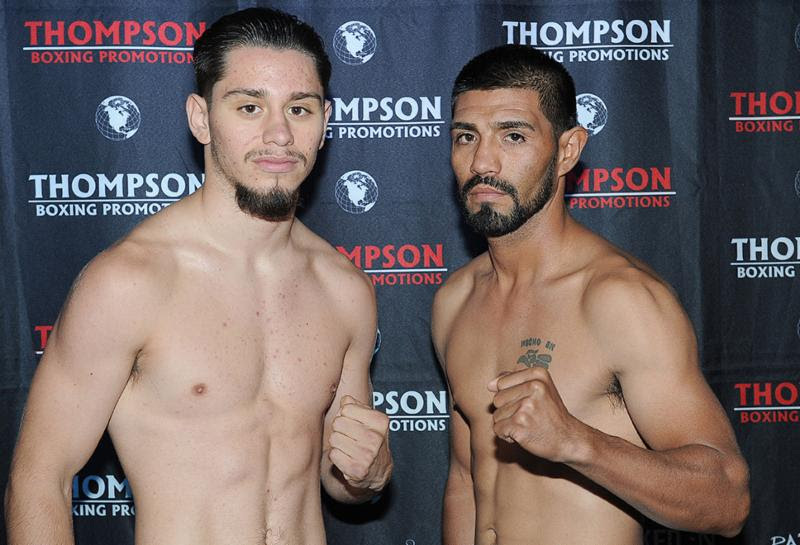 The undercard features Ruben Villa vs Ernesto Guerrero in a six-round bout, and Michael Dutchover taking on Carlos Flores in a four-round bout. Villa and Dutchover are promoted by Banner Promotions and Thompson Boxing. Tickets for “New Blood” are priced at $40, $60, & $100 and are available for purchase by calling 714-935-0900, or visiting ThompsonBoxing.com.